TONY RICKARDS is one of Australia’s most versatile talents. He is an actor, writer and comedian, versed in many mediums and in a variety of guises. His career began in 1978, way back when the Cabaret & Theatre restaurant circuit was burgeoning, in a show called The KOOKABURRA LONGJOHN UNDERWEAR SHOW with Steve Vizard. Since then Tony has performed nationally as a comedian and/or actor on film and television. Tony is a specialist in character comedy, as well as M.C and interviewer. He has entertained through many different guises and media, but probably gained most of his notoriety as the lovable fool, Con Marasco, of the infamous comedy radio programme, PUNTER TO PUNTER. Tony is well known for his numerous film and television roles in Australia’s ongoing dramas including A COUNTRY PRACTICE, GP, GOOD GUYS, BAD GUYS, HALIFAX, FEDS and STINGERS. BLUE HEELERS is another well loved drama in which Tony made regular appearances as the well meaning rogue, Compo Hayes. Lately he has also been a regular on comedy programmes such as KATH AND KIM, LANO & WOODLEY, MICALLEF and BACKBERNER, whilst he also appeared in over 90 sketches each week as a comedy actor on the RUSSELL GILBERT SHOW on Channel Nine. 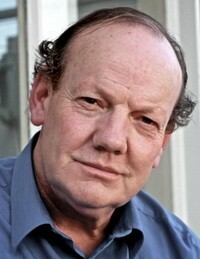 Tony has also played opposite a number of notable actors including Oliver Reed and Amanda Donohue in the Nicholas Roeg movie, CASTAWAY, Jack Thompson, Warren Mitchell and Greta Scacchi in WATERFRONT and in his first lead role beside the late John Hargreaves in the Tele-feature, THE GREAT GOLD SWINDLE, to name a few. His latest feature film ventures include: DOGWOMAN with Magda Szubanski along with a cameo appearance opposite Jimoein in THE CRAIC. Tony’s most recent movie credit was this year on the U.S. telemovie, NIGHTMARES AND DREAMSCAPES, where he played Roy Orbison. Tony is also in regular demand for voiceovers, with his most recent campaign for NAB and the Commonwealth Games as ‘the coach’ receiving rave reviews. Aside from film and television acting, a great deal of Tony’s time has gone into creating shows of his own, for venues, ranging from sporting clubs to concert halls. Tony regularly calls on his repertoire of comic characters, as seen in one man shows performed at ‘Melbourne’s Last Laugh’, and The Universal and the Palais Theatres. In recent years Tony has been in constant demand in the corporate arena to present his characters for special occasions. As a result he regularly hosts functions and performs comedy routines in and out of character. All this from a man who is a highly successful tipster and previewer for Australia’s most well read racing newspaper – Winning Post. Tony has his own light-hearted racing page in the paper which is acknowledged as the best and most popular racing column in the country. Tony has one of the most popular daily tipping phone lines in the country! He is truly one of Australia’s most versatile talents and in much demand in whatever medium you may care to choose. The racehorse Marasco is named after Tony’s character Con Marasco. Tony can tell the story of how this came about either as a short stand alone entertaining address or as part of an MC role.